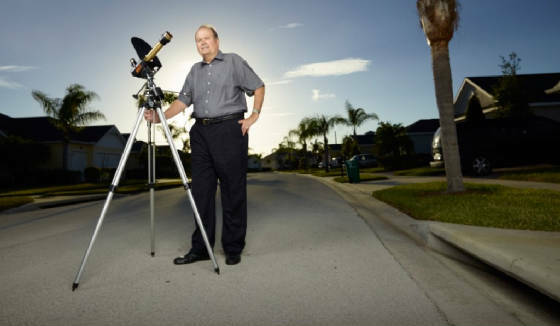 William Rankin involves his students in his passions for astrophotography and space exploration to help them think beyond our everyday reality. A former director of five major airports, he has taught at University of Phoenix since 1996 for the School of Business and College of Humanities and Sciences. And it’s handy for him to live in Florida, where he and wife Sandra can watch rocket launches from the nearby Kennedy Space Center. It’s no wonder William Rankin, Ph.D., pursued a career in aviation and a lifelong passion for the stars and space travel. The former airport director and current NASA ambassador grew up in “The Rocket City”—Huntsville, Alabama, where he moved as a junior high school student in the 1960s. It is home to NASA’s Marshall Space Flight Center (MSFC), which was then working on launching a rocket to the moon. “I remember the houses would shake when the Saturn rocket boosters were tested on the Tennessee River,” Rankin recalls. “Huntsville was a boomtown and you could feel electricity in the air. There was that feeling of pushing the edge of the envelope and doing new things.”The MSFC was headed up by German missile experts brought over to the U.S. after World War II. Their director was Dr. Wernher von Braun, who had developed Germany’s V-2 weapon and is known as the “Father of Rocket Science.” To involve Huntsville students in their research, the scientists founded the Rocket City Astronomical Association (RCAA)—today known as the Von Braun Astronomical Society—which a teenaged Rankin eagerly joined. As a youngster, Rankin helped develop a camera-holder to fit on the RCAA’s 22-inch telescope. “We took photographs with 35mm cameras as best we could,” he explains. “Today the technology is much better with CCD cameras that use electronic chips. You can photograph deep-sky galaxies and nebulae that amateurs couldn’t have photographed in the past.” He takes photos using a NexStar 11 GPS telescope at an observatory he built in North Carolina, where he owns a house. “I can punch M-51—also known as the Whirlpool Galaxy—in the keypad and the telescope will automatically slew to that galaxy and center it in the field of view,” he explains. Some astrophotographers are driven by curiosity about space, and others by the beautiful images. For Rankin, it’s both. He shares photos on his website darkskysite.com, and says his Holy Grail would be photographing the red Horsehead Nebula, located 1,500 light years from Earth. “It’s an extremely difficult image to capture. If I could get a good picture of it that really would be something,” he says. Rankin is a member of NASA’s Solar System Ambassadors Program, which reaches out to students and educators. 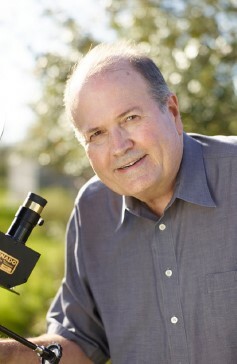 He hears from NASA scientists about their missions of robotic space exploration, holds star parties at his observatory and has taught university classes on rocketry and commercial spaceflight. The faculty member is largely responsible for setting the initial mood or climate of the program. Help to elicit and clarify the purposes of the students in the class. Rely upon the desire of each student to implement those purposes that have meaning to him/her as the motivational force behind significant learning. Endeavor to recognize and accept your own limitations as a facilitator of learning.